Drifting isn’t your average racing event. It’s as much about precision and maneuvering around corners and tight turns as it is about driving fast. Some of the Formula Drift’s best drivers will take a crack at Drift Atlanta, the Race To The Championship event starting Friday and culminating with the main event Saturday at Road Atlanta in Braselton. This weekend’s event in South Hall marks the second on seven stops on the season schedule for Formula Drift’s Pro Championship Series. In April, the season opened with the Streets of Long Beach event, won by US driver Justin Pawlak. Road Atlanta president Geoff Lee is a fan of the product that Formula Drift brings to Road Atlanta. He says it’s a younger crowd that is passionate about modifying their Japanese imports to run with high horse power. As a result, he says drifting opens up the track to a new fan base, different from those who would traditionally attend events such at Petit Le Mans. The crowds have also responded to having Formula Drift race at Road Atlanta. According to Lee, the attendance has risen each year at Drift Atlanta, with 25,000 fans coming in to watch in 2010, and possibly as many as 30,000 this weekend. Road Atlanta is regarded as a popular venue among drivers for its tight 12-turn, 2.54-mile road course. According to Forsberg, the fans are treated to a great show with a view of all the action from parts of the infield. 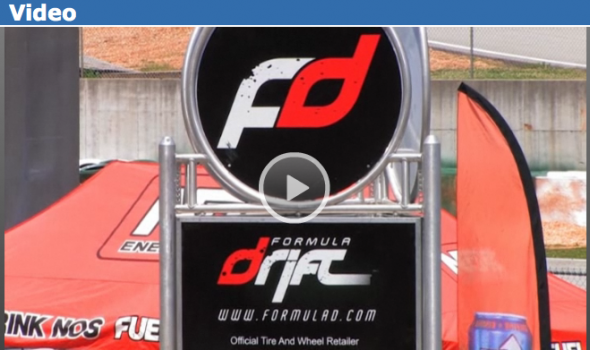 For Formula Drift, now in its ninth year coming to Road Atlanta, the track is modified to a one-mile course so fans can see all the action from stadium seating placed in a central location. Drifting is much different than other races that take place at Road Atlanta. It’s not just about having the fastest car and best driver. Drifting is just as much about showmanship, getting as close to the other car on the track as possible, while correcting and adjusting to the speed of the car. Drivers are judged on criteria such as line, speed and angle. Drivers are paired on the track, then switch positions for elimination rounds. On Saturday, practice leads up to the Round of 32 that will begin at 4 p.m. The main event with the final 16 cars starts at 8 p.m.